It's from someone who works for a Government that directly controls around 80% of my Council's funding. The same person works in an institution that has frozen any ability for Councils to influence the 'envelope' of the remaining 20%. Basically, this means that despite growing service demands on Councils - central Government controls almost all of our funding. So - if we don't do all of these things, as a complete package --- then Edinburgh will lose £33million of funding. That's equivalent to a 14% rise in Council Tax. Now - I don't mind pursuing the three things above ... as I said, they are not, per se, bad things to pursue --- but I don't really have a choice do I. For me - as someone committed to the delivery of local public services; with no interest in ever being a Holyrood or Westminster legislator (as that's what they're supposed to do there) - the letter is a complete disgrace, and makes an utter mockery of any semblance of a belief in local democracy. Shame on those who wrote it - as they know full well what they're doing ... centrally directing local services. What a truly sad day for local democracy in Scotland. here in the City Chambers. It’s great to see so much interest in today's 3rd annual Council Conference. & finally; I’ll say a few words about the Future City? And talking through these 3 areas, I want to make the argument that Edinburgh is approaching a pivotal point in its development; and that a series of key – quite imminent – decisions, will have a crucial impact on our future direction. For me, these are decisions that cannot be taken in isolation by the Council, the wider public sector, the private sector, or the voluntary sector … the whole City, and wider region, needs to be involved. For all of the obvious challenges, there is absolutely no doubt in my mind that 2015 has been another successful year for the Capital City of Scotland. Edinburgh continues to be a hugely attractive place to live, with an average of an additional 5,000 people choosing to move here every single year – that’s a 1% annual growth, which will soon see Edinburgh reach the half-million population mark. 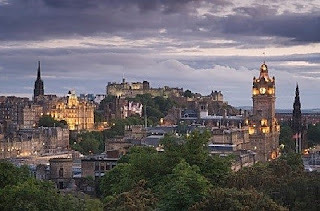 Very few other UK-cities are drawing anything like this level of population-attraction to them on a yearly basis – and, for me, it still remains the case that Edinburgh’s overall ‘Quality of Life’ is what makes us stand out from the crowd. … Edinburgh is still outperforming all of our major UK-competitors; with Edinburgh continuing to rank as the city with the second highest ‘Gross Value Added’ (GVA) per resident, after London. We also have the lowest claimant rate for Jobseekers Allowance – currently at less than 1.5% - of any major city throughout the whole of the UK. And Edinburgh today has one of the most talented workforces in the whole of Europe – with 2015 seeing the percentage of the population of the capital, educated to degree level or above, almost reaching 50% for the first time. and the projected total of 5.1million passengers for the whole of 2015 meaning that the service continues to outperform targets set in the business model. Turning to 2016, there is no question that the overall economic prospects for the City are positive. But that does not mean we are short of significant challenges; as perversely the success of the City economy does not translate to any direct, additional funding for the Local Authority. … and anyone who noticed the local Council Budget being set last week, will know that these pressures have made for some extremely difficult decisions. And inside the Council, as is often the case periodically whether in the public, private or voluntary sectors, we are seeing the implementation of a new management-structure; with a new Senior Management Team. But, being the eternal optimist, these are all constructive challenges to be facing ... challenges of success and growth, not decline and stagnation. And with a Scottish Parliament election on the horizon in May this year, we may even see the beginnings of a return of some fiscal flexibility to Local Authorities; with a serious debate already raging about the future of the Council Tax and how Local Government generally is currently being funded. So clearly, there is much to look forward to here in Edinburgh - but also much work to do in the year ahead. As most – if not all - of you in this room will know only too well, our local economy does not operate on local authority boundaries. We all rely on each other to help ensure the prosperity of our region and its residents. And over the last year or so; I’ve been delighted to have been working closely with regional colleagues to help develop our city region deal bid. Whilst we are not all of the same political persuasion, we do understand the challenges - and opportunities - for our region; and the role that a City Region Deal could have in helping to tackle these. … because, despite the overall positive picture I’ve just painted of Edinburgh – you simply cannot deny that we are a very successful butALSO very divided City Region. Collectively together we are responsible for over 30% of the Scottish economy and are a key economic driver of the UK – as mentioned earlier, we are indeed, the second most prosperous city in the UK and also the most productive city in Scotland. Foreign direct investment has been high, particularly in the city and the demand for workers is rising. However, we are also a divided region; with significant numbers missing out on the prosperity enjoyed by many. As well as the strengths already outlined, the Region continues to be held back by issues of deep rooted inequality and needs to overcome significant infrastructure constraints and meet connectivity challenges if it is to fulfil its growth potential. In the light of these strengths and constraints, it is crucial that the Region makes a step change in economic growth by seeking a City Region Deal with Scottish and UK Governments and establishing an associated Infrastructure Fund, with a complementary skills package. And City Deals --- are already an important feature of the economic landscape down South, and as many of you will know Glasgow signed a deal around 18-months ago. Whilst each deal has been different they have all been targeted at empowering local areas to drive economic growth by providing them with additional resources and freedoms. This city region has a unique set of assets. We have world class offerings in relation to our knowledge base, technology activity and cultural offering and we are keen to build on these. We may have an impressive story to tell at a UK level but the competition is increasing, along with the pace of change. In a fast-changing world we will create a region where investment, intellect and culture will fuse to create new ways of doing things. In the next 20 years the Edinburgh and South East Scotland City Region will become the most connected, most creative, most inclusive and most entrepreneurial place in Europe. We will build a network of businesses, universities, technical and creative skills attracted by a great lifestyle and cultural offer. Our focus goes beyond infrastructure investment and includes a fresh approach to skills and innovation activity across the region. We are looking at the journey from school to the workplace and we want to ensure a better fit between the skills businesses require and those of our workforce. At the heart of this proposition is the desire to secure additional substantial funding for Edinburgh, the Scottish Borders, Fife, Midlothian and East and West Lothian councils, in priority areas for investment such as transport, housing, economic regeneration, energy and digital connectivity. It is crucially important that while doing this we also tackle the pockets of inequality, and other constraints, that threaten to hold the region back. According to the Scottish Index of Multiple Deprivation 2012, over 12 per cent of the region’s population; is among the 20 per cent most deprived in Scotland. So whilst the unemployment rate for the area, as a whole, remains around the Scottish average, there are localities with persistent high unemployment that must be tackled. Skills are another area which needs creative thinking. In areas such as construction, healthcare and tourism, we need more skilled workers to ensure that, in the decades to come, the wider City Region has a competitive edge to help us meet the challenges of a growing and ageing population. Our next steps will be to seek further dialogue with both the UK and Scottish Government on the development of a detailed proposition, which will ensure that we continue to grow, and at the same time reduce inequalities across one of Europe's most successful City Region economies. Assuming a positive response from Ministers, detailed work - in partnership with representatives from both Governments - on prioritising potential investments would continue throughout the early months of 2016 … and by the middle of this year, there is every prospect of a multi-billion pound City Region Deal being in place. … some of you will be aware of the Scottish Cities Alliance --- of Scotland’s 7 main cities: Glasgow, Edinburgh, Aberdeen, Dundee, Stirling, Perth and Inverness. I currently Chair this Alliance – which is a partnership between the 7 cities and the Scottish Government --- whose support and encouragement has been crucial to the formation and development of the early years of the Alliance. … just to re-emphasise the challenges --- in Edinburgh, the Lothians, Borders and Fife ... a region that many assume is relatively wealthy ... we have 21% of children living in poverty. We also have 24% of the population living in fuel poverty. In 2015 - this is frankly unacceptable for a region that boasts nearly 50% of the population educated to degree or equivalent level; a city that is the second most prosperous in the whole of the UK; with some fantastic recent success stories, including being home to two tech companies now valued at over $1bn each, Skyscanner and FanDuel. That picture of social inequality – sadly – can be evidenced from across any of the surrounding areas of Scotland’s 7 main cities. That discussion document is essentially our pitch – our bid – into the welcome refresh of the ‘Agenda for Cities’ that the Scottish Government is currently consulting on – Scotland’s cities were key partners in developing the first ‘Agenda for Cities’ (basically – cities policy) back in 2011; and we’re very keen to play a constructive role in the refresh of that agenda as we approach the Holyrood Elections in May 2016. 5. Help ensure that there is Greater participation in local democracy. In essence - what we want to see happen is for decisions to be made locally – for communities to decide on issues affecting them, which can deliver greater efficiencies, reduce duplications and generate better outcomes. And worryingly we are currently seeing our competitor city regions in England move to a more decentralised model --- and, as mentioned, there is much evidence to demonstrate that more decentralised systems of government are associated with higher national growth. Finally Euan - what of the Future City? Well – I hope I’ve provided some evidence … and at least some serious food for thought … that no matter how economically successful; a city the size of Edinburgh (or Glasgow, or any Scottish City for that matter) needs a wider ‘economy of scale’ to realise not just raw economic success; but also a broader success in equalising access and opportunity for all --- or for as many as feasible. And neither the public, the private, nor the voluntary sectors can achieve this alone – it needs a partnership of all those interests if we’re truly going to ensure we can cope with the imminent demands of growth in the near, if not immediate, future. I’ve personally come to the very firm conclusion that in order to deliver such thriving local economies; that can also improve peoples’ lives --- cities and their regions need a bit more control of their own destiny. … as the eternal optimist, I continue to hope that the main Scottish Parties – as they approach this crucial 2016 Holyrood Campaign – do think radically about the future of our Cities and Regions. If we, as a Country, are serious about building strong and smart Cities and Regions, then there really does now need to be some further devolution within Scotland. How hard can that really be! ... the days of centralised control of local community services have to come to an end. Enough really is enough. It's time to re-empower local communities and give Local Authorities back some control over their own destiny. 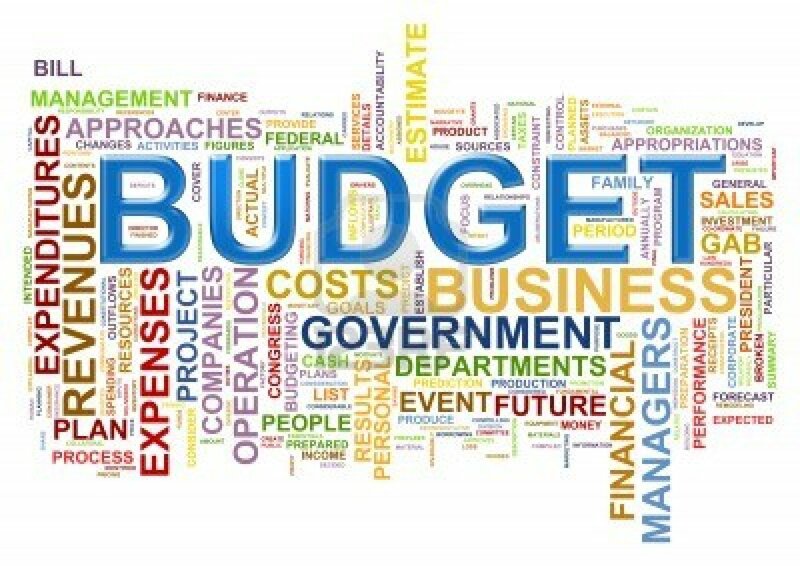 In my last blog-post, from earlier this morning (click here to view), I re-produced the local Labour/SNP Coalition Budget Motion ...and as previously mentioned, our local Budget will now be formally decided at the Special Full Council Meeting, at 10am on Thursday 21st January - all the relevant Reports & Papers are available via here. 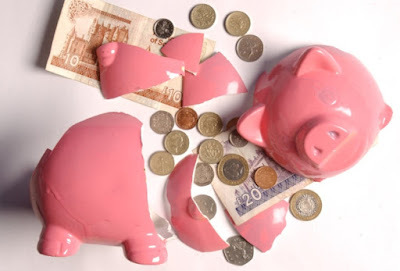 I do though want to emphasise again just how serious this situation is - I have blogged before about why I've long-believed Local Government funding is broken; but I'm sadly more convinced than ever, after this year's financial settlement. As many regular readers will be aware - I've been a Local Councillor since the very first days of devolution, being elected to the City of Edinburgh Council in May 1999 at the same time as the Scottish Parliament was established. And, there is just no doubt that this year's local budget settlement has been the most challenging I've had to face in those near two-decades of public service. And I think it important to stress that I post all of this, as my close colleagues well know, as someone who has only ever had an interest in Local Politics; never having had (nor never will have) any aspiration or desire to be a Holyrood or Westminster politician ... those establishments are Parliaments and they legislate - Councils deliver local services; and that's where my interest has always been, and will always remain. So, it frankly pains me that this year's budget settlement from the Scottish Government is going to damage those local services. And I am now more certain than ever that the system of Local Government funding in Scotland is broken. The present Council Tax system must end, with any replacement designed to be fairer, more progressive and locally empowering. tax mechanisms that have the revenue raising capacity to match the present system. aforementioned options, make a contribution to local revenues." Well - this could have been enacted by the Scottish Parliament at any time since May 1999 - Local Government finance is totally devolved - but all 4 devolution-Governments have failed to act. It simply cannot be sustainable that Scottish Local Authorities have control over only 18% of their revenue-raising, whilst most other similar levels of local government in western Europe or northern America have control of circa 40%. Frankly - devolution from Westminster to Holyrood is all well-and-good ... but we urgently now need further fiscal devolution from Holyrood to Scotland's 32 Local Authorities. ... isn't that, put simply, what they want Westminster to do? The status quo is just no longer acceptable - an 18th year of stasis on this issue will start damaging local services irreversibly. The system of Local Government funding in Scotland is broken - it needs to be reformed; and that reform now needs to happen urgently. As indicated on Tuesday, we're publishing this morning - a week prior to actual Budget Day - the full and final draft of our revised budget proposals for 2016/17. I think the motion speaks for itself ... and it will now be debated at the Budget Day Council Meeting, 10am on Thursday 21st January, to be webcast here. Council Leader, Andrew Burns, said: “A reduction in revenue funding of the scale now being proposed, will undoubtedly have a negative impact on a whole range of vital services that local government is responsible for delivering: the children in our care, the elderly struggling with dementia whom we look after, and vulnerable adults whom we assist daily; all these individuals rely on the support that only a council can provide. Council Deputy Leader, Sandy Howat, added: “A revenue cut of this scale would be very damaging for jobs and services within Scottish local government generally, and here in Edinburgh specifically – the harsh reality is that this will translate to real job cuts that hit real families, in real communities throughout our capital city. Everyone will be hurt by this. Last year’s Capital Coalition budget was set in the context of continuing financial constraint and rising demand for Council services. In 2016/17, we know that there will be even more challenges. As the UK Conservative Government Spending Review was delayed until 25 November 2015, the Scottish Government’s Draft Budget was consequently later than usual. The Capital Coalition has sought to set a four-year budget framework to enable us to target services at the areas of greatest need and to provide stability to staff and citizens over future service provision. However, because of the UK Government’s cut in the Scottish Block Grant, the Government’s Financial Settlement sets out expenditure plans only for 2016/17. 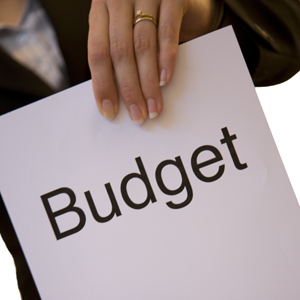 Consequently the City of Edinburgh Council, whilst setting out a four-year budget framework, is only able to agree the finalised budgetary detail for 2016/17. For following years of the framework we will need confirmation of future UK and Scottish Government financial settlements. We have taken account of the Scottish Government’s commitment to continuing the council tax freeze. Along with its funding for health and police, which taken with the decision by Westminster to remove the National Insurance rebate and additional teachers superannuation costs, means that local government funding overall will reduce by around 7% in real terms in 2016/17. The Commission on Local Tax Reform reported in December on the back of which the Scottish Government announced that they would publish their plans to reform local taxation in the New Year. Health and Social Care continues to demand greater resource. Education and care for children remains a priority. We do not intend to cut services however, what we do want to see is efficient and effective ways of delivering them. This is exactly what the Capital Coalition has implemented through the transformation programme – greater efficiency and effectiveness. With Scottish Government spending priorities focusing around health, schools and police we as a Council have tried to prioritise areas of spend where we know the citizens of Edinburgh want us to invest. Despite the challenging financial situation, the Capital Coalition has prioritised a programme of specific investment over the last 12 months based on our six strategic themes: highlights of this work are listed in more detail in Appendix 1. But the biggest change of all has been the transformation of this organisation, which employs over 18,000 staff and provides a wide range of services, each one touching the lives of many citizens. Appendix 2 also illustrates the wide-range of efficiencies that the Capital Coalition has developed, within the context of an extremely challenging financial environment. The UK economic environment is improving and increasing employment is helping to offset spending pressures. Edinburgh’s economy continues to do well although the climate for local government funding is becoming even more challenging. The pressure of a further £16.7million reduction in our overall budget, in addition to £68.7million already assumed, has led to the Capital Coalition reviewing savings proposals while protecting key services and outcomes. · Agreeing that any remaining gap to be funded by an increase of 4% in charges. 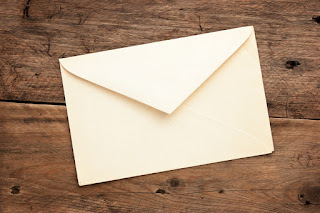 · Continuously monitoring our debt and investment portfolios to ensure we are operating effectively and efficiently and that any savings in interest payments are fed back into services. In line with previous years, the Capital Coalition has given the people of Edinburgh the opportunity to have their say in the budget process. The consultation was launched on 1 October and once again Edinburgh’s citizens have risen to the challenge with over 4,000 responses. The quality of information received has been extremely high and allowed us to refine our proposals. · Listened to the comments coming out of the ‘Invest to Save’ exercise and as a result limited the council rent increase to 2% in 2016/17. · Work with partners to ensure that the Council receives appropriate remuneration from its portfolio of companies including increased dividend payments. None of these decisions have been taken lightly. We do, however, continue to take forward the six strands which form our Contract with the Capital and into that we have woven the Council’s transformation programme – these proposals are all contained within Appendix 2. · £24million on property maintenance and asset management. Continuous monitoring of the Council’s capital programme will be undertaken to ensure projects are delivered on time and on budget. This programme will be reported through Finance and Resources Committee and referred to the Governance Risk and Best Value Committee for scrutiny. As indicated earlier, the economic environment may be improving with a growing economy and increasing employment, but the climate for local government funding is becoming even more challenging. The pressure of a further £16.7million reduction in our overall budget, in addition to over £60million already assumed, has led to the Capital Coalition reviewing savings proposals while protecting key services and outcomes. The total being £85.4million in 2016/17. 4. increasing service demand due to demography. It should be noted that to mitigate these risks the Council has invested £12million per annum. · Establish a mid-term budget review meeting of the Council which will monitor progress against the Coalition financial commitments and act as an early warning system to highlight potential risks. · The outcomes of the transformation programme and the operational function to deliver high quality, efficient and effective services within a pre-determined budget limit. · The recommendation by the Executive Director of Place to increase rents by 2% and the outline 5-year Housing Revenue Account Capital programme for 2016/2021. Ensuring that every child has a first-class education is one of our most important pledges. We currently spend £234million on education and we will be increasing this funding by £1.8million a year to meet the costs of an increasing number of school pupils. We believe that we can generate additional income by opening up our school facilities to appropriate groups and individuals. · 47% of pupils gained 3 Highers or more by the end of S6, an increase of 5% since 2011. School leaver destinations have seen significant improvement year on year with the number of young people leaving school in October 2015 to a positive destination in education, employment or training at the highest it has ever been at 92.3%. · £0.6million to provide a new gym hall at Buckstone Primary School. · An estimated £8million for a new St Crispin’s Special School. · The Council has approved £0.7million towards the early design fees for a new secondary school in Craigmillar with delivery of a new facility within a 5 year programme. We continue to provide assistance to people who find themselves in difficult circumstances. Through the Emergency Fund we have retained our pledge to ensure that no-one is evicted from their Council tenancy through rent arrears due to the Under Occupancy Tax. Our commitment to developing the economy and helping people back to work will enable individuals to train for the types of jobs which will support both them and the wider city region economy. By working with the Third Sector we will grant aid projects to develop community hubs which will have additional funding of £250,000 to allow them to meet local needs. This additional funding to come from the Department of Place through budget realignment. maintaining investment in voluntary sector provision to support children so they don't need to come into care. The quality of our residential children's homes is consistently judged to be very good and we are rebuilding two homes over the coming years. The Modern Apprenticeships are a key part of the Edinburgh Guarantee. To date the Council has supported 210 apprentices. Last year 39 apprentices graduated and this year that number has risen to 54. The Council also has 78 apprentices who are still working towards completing their apprenticeships. To date, Economic Development Service (EDS) has assisted around 3,190 people into work and learning. In 2015, EDS has supported the creation and safeguarding of 2,952 jobs. The Edinburgh 12 has demonstrated that the value of the Council’s collaborative working with the development community. Considerable progress has been made in advancing all 12 sites. · Approximately 120,400 sq ft of retail and leisure space. · King’s Stables Road and India Buildings are progressing well and will release significant capital receipts. Creative Exchange Leith provides 80 workspaces for individuals, groups or businesses and is a hub for creative talent in the city. Business Gateway also supports SMEs and offers access to free business support services, gives assistance and impartial advice to people starting or growing their business. The official opening of the Edinburgh-Shenzhen Creative Industries Incubator in Shenzhen, China took place in May 2015. The opening was attended by 10 Edinburgh Companies and six of them are planning to occupy space within the incubator. The Council is working in partnership with neighbouring authorities (East Lothian, Fife, Midlothian, Scottish Borders, and West Lothian Councils) and other partners on the development of a City Region Deal bid to the Westminster and Scottish Governments. This City Deal aims to accelerate regional economic growth and reduce inequalities, by securing additional investment and decision-making powers from the United Kingdom and Scottish Governments to stimulate private sector investment, drive innovation, unlock synergies, and deliver the improvements to our regional infrastructure and skills base necessary to achieve a step change in economic performance. An outline bid was submitted to the Westminster and Scottish Governments on 4th September 2015, with further information provided on 18th December 2015, and we are now awaiting a formal response so the proposition can be taken to the next stage of development and any budgetary implications for the Council quantified. On award of a City Deal in 2016/17 further detailed work will be undertaken to provide a financial strategy to support the project. The budget motion of 2014 identified £1million capital to upgrade the current Public Space analogue CCTV system to a new digital platform. The CCTV Investment Project Manager is working with the Council’s new ICT partners CGI to produce an Outline Business Specification, which will set out the proposed options for upgrading the system. The development of an open protocol operating system will allow integration of other Council CCTV services to provide a single more efficient service; This integrated model will also include our partners who currently have access to and usage of the system from their respective locations – Lothian Buses, Police Scotland, Scottish Fire and Rescue Service and Urban Traffic Control. Consideration will also be given to working more closely with other CCTV providers, such as tram and business improvement districts. The high cost of privately renting or owning a home in Edinburgh is increasing the cost of living for many families on low to middle incomes already struggling to cope. This is why the HRA budget sets out the Capital Coalition’s ambitious plans to tackle the city’s housing crisis by expanding the Council led house building programme to build 8,000 new affordable homes over 10 years. This investment will generate benefits to the local and national economy of around £2billion, sustain 1500 new jobs and bring in additional council tax revenue at a time when the council’s resources are severely constrained. Discussions have taken place with not-for-profit Housing Associations who have agreed to match the council’s commitment bringing the total number of new affordable homes in the city up to 16,000 over 10 years. Existing council tenants are among the most hard pressed financially and we have consulted widely with them in preparing this budget. The consultation showed that increased house building was the top priority for tenants, followed by investment to reduce their energy costs through replacement heating, cheaper energy and better advice services. The strategy will also look at other measures that will have a big impact on tenants cost of living, including cheaper broadband, discount cards and making land available to support tenants to grow fruit and vegetables. All this will be achieved through a combination of making the housing service leaner; making efficiencies in service delivery and through modest rent increases of 2%, ensuring that we keep rents affordable, whilst delivering tenants priorities to reduce their cost of living. · Tackle domestic abuse though a range of process improvements across all relevant agencies to ensure services intervene early, engage with all family members, coordinate provision and deliver better outcomes. · YouthTalk: award winning youth engagement partnership project. YouthTalk provides opportunities for young people to have a say and involvement in the delivery and development of local services. Edinburgh is the world’s leading festival city, attracting over 4 million visits to the capital each year which delivered an economic impact of £170million for Edinburgh and £260million for Scotland. Edinburgh’s festivals are a unique cultural phenomenon and only the Olympics and football World Cup exceed the number of tickets sold in the capital each year. Including Hogmanay, the Council invests £4.3million in 11 of the 12 annual festivals which results in the creation of 5242 full-time jobs in Edinburgh and contributes £170million to the Edinburgh economy. · After many years in development we are now moving toward opening up the Council’s sports assets to the wider community with the management of many facilities transferring to Edinburgh Leisure. Edinburgh Leisure is developing a detailed business plan on this transfer and a progress report including a timeline for a phased changeover is scheduled for Spring 2016.